India's greenest and ultra modern city, Noida is amongst the most developed cities of India. The high tech developments and beautiful parks attract many of the visitors to come and see the marvels. And because of this, many of the car rental providers have established themselves to look for the travelling needs of the locals and tourists. 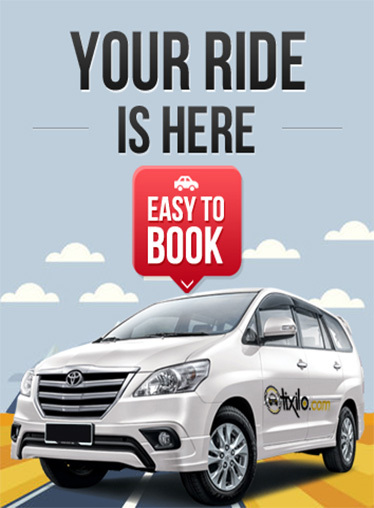 The Tixilo cab rental services is one of those reputed taxi services that ensure of a safe and comfortable commute in the city at pocket friendly rates. Tixilo cab rental services have an experience of a decade in providing comfortable, safe and reliable services to all its customers. And now we also offer quality services at cheaper rates in Noida as well. Our online cab booking services readily provides cab booking facilities in various cities including Delhi, Agra or Chandigarh, with a half day ride of 4hrs/80 kms at a price of 0$ and a full day journey of 8hrs/80kms for $0. We offer a range of cabs that are all equipped with all basic amenities like air conditioners and GPS systems. You can also choose a luxurious cab like Audi, Mercedes Benz or BMW and enjoy a luxurious ride in the city. All our drivers are highly professional, well trained and licensed, and also are well familiar with every route of the city.
. Well maintained and highly equipped cars.
. A fleet of cars with all range.
. Flexible payment procedure through net banking, credit \ debit card.
. Round the clock services with quality of being on time.
. Easy cancellation through the website or mobile app.
. Fast and confirm booking.
. GPS tracker and google navigation for security and safety purpose.
. No hidden and extra charges after confirm booking.